COZY & SPACIOUS CABIN IN BEAR CREEK! Spacious but cozy 4227 sq. ft. cabin in Bear Creek gated community. 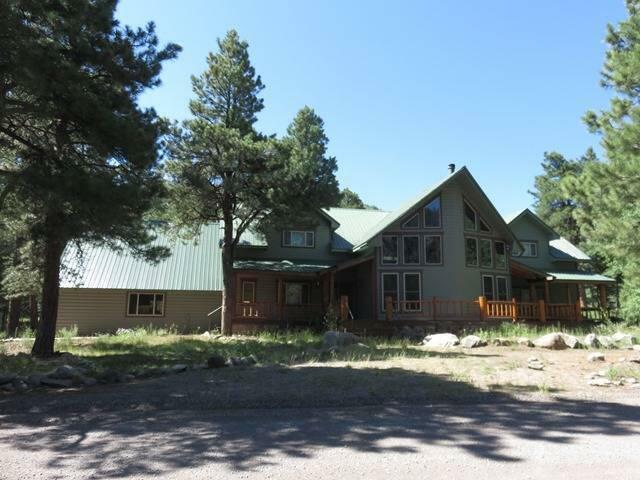 Nestled in the South San Juan Mountain this 3 bedroom, 4 bath cabin/home is in excellent condition with maximum quality throughout. All ceilings and walls consist of tongue and groove aspen paneling with not sheet rock to be found. Open floor plan with three huge bedrooms that can accommodate multiple guests and family.. Radiant floor hear, massive rock wood fireplace, storage galore, hardwood and mosaic tile with carpeted bedrooms. Sold totally furnished with hot tub, double oven, covered surround deck, too many upgrades to list them all. Adjoining lot available for additional privacy/development at $60,000.